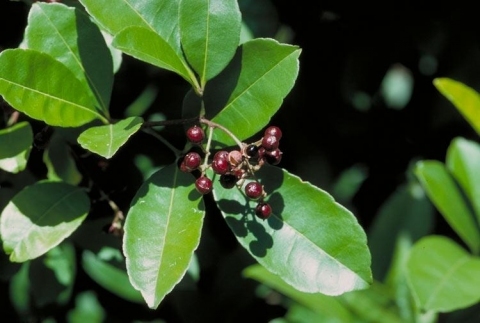 Zanthoxylum ovalifolium is an erect shrub or small tree growing up to 8 metres tall. An essential oil is obtained from the fruit. A treatment of the Malaysian species of Zanthoxylum, amongst other articles. It can be downloaded from the internet. E. Asia - India, Nepal, Pakistan, Myanmar, Indonesia, Papua New Guinea, Australia. USDA Government Printing Office; Washington DC. Details of seeds and plants imported for trials by the United States Department of Agriculture in the second quarter of 1919, often detailing the uses of the plant and various other miscellaneous information. It can be downloaded from the Internet.